Francine Richman was born in Paris, in 1928. After moving to Montreal, she studied at the Saidye Bronfman Centre for the Arts, then at the School of Art at the Montreal Museum of Fine Arts. Richman has acknowledged her fascination with the human form and animal forms. Influenced by the abstract sculptures of Brancusi, Arp and Henry Moore, she creates supple figures that bring to mind the movements of dancers, while areas of material left untouched offer a glimpse of the creative process. Richman has had solo exhibitions at Shayne Gallery, Montreal in 1991 and at the Dominion Gallery, Montreal in 1978, 1981 and 1990. She has participated in group exhibitions in 2006 at Michel-Ange Gallery, Montreal, the following year at Montreal's West End Gallery and in 2008 and at the Toronto Canadian Sculpture Centre (now the Sculptors Society of Canada). Richman has also participated in numerous exhibitions across Canada, the United States, Europe and Israel. 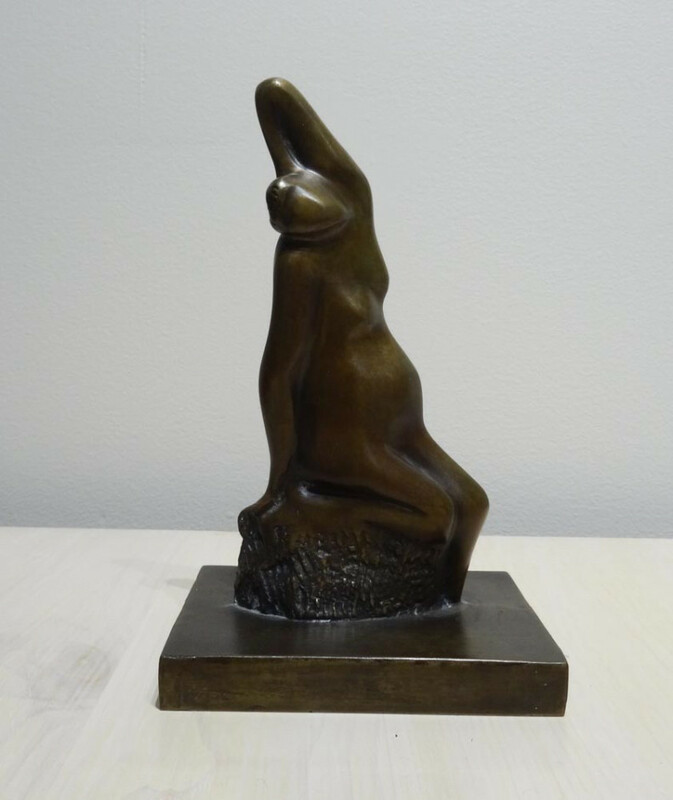 She has been a member of the Sculptor Society of Canada since 1990.
inscribed "Artcast." (on the base, reverse).